Thread: Cabelas Fish Eagle Spinning Rods? 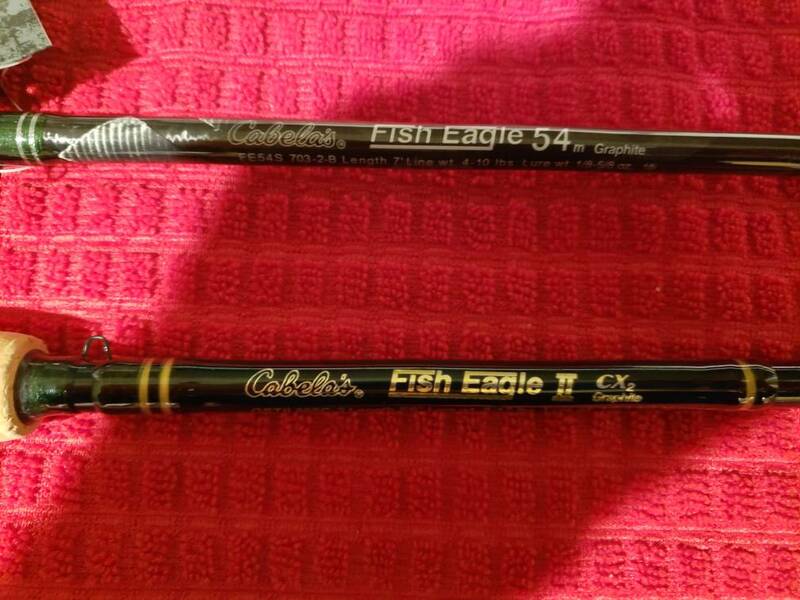 Re: Cabelas Fish Eagle Spinning Rods? Makes sense the 54 is a little stiffer as it's a higher modulus graphite. I've used the Fish Eagle II for years and been generally happy with them. Not a high end rod, but not junk either (But I do agree with Linestretcher, it can vary a lot). I'm schizophrenic when it comes to fishing and feel the need to fish everything from Crappie to Sturgeon, and end up with lots of rods. Can't afford fancy stuff for it all, so decent works for me. I received the Fish Eagle 54 but have not tried it yet, too busy pitching jigs with another rod. The 54 seems well made, the handle is really nice. I really liked the old Fish Eagle II rods. Bummer you cant get them anymore. I have a Fish Eagle 54 and its ok. I bought the same length and weight 54 as the II and it does not fish the same. The 54 seems a bit more stiff than the II. I'd go down one size on the rod weight to equal the same action as the old II. All in all they are great rods for the price. I FISH, THEREFORE I CUSS AND LIE! I squeezed the trigger on the Cabelas Fish Eagle spinning rod so shall soon find out if they are still a decent rod. Had to lighten up on the rod budget this time around since I bought 2 Shimano Ci4 reels too. Are these still a decent rod at this price point? I need a medium light spinning rod and can buy one for about $44. It's so hard to tell because the consistency's across any of the basic production rods is just not there. I think Shimano has a little better production process but who knows, these may be Shimano's with Cabela's branding. I use a very non-scientific method of rod selection. 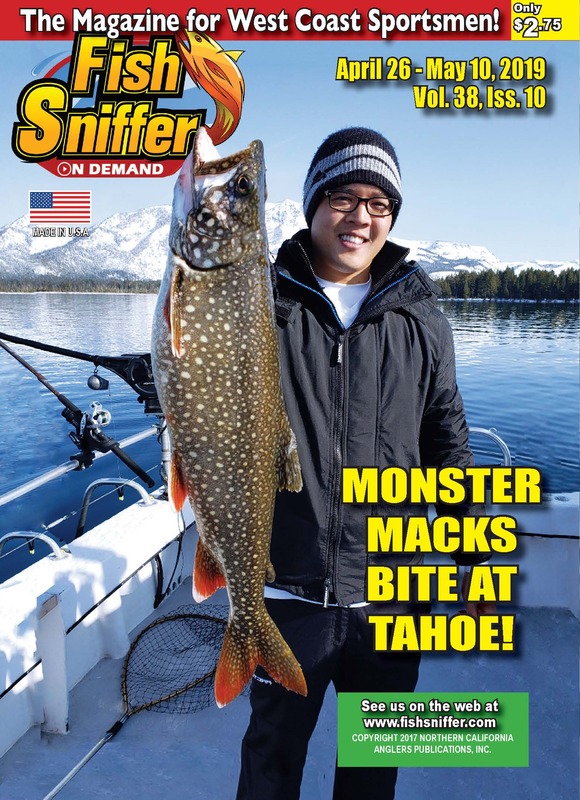 If it's 60 to 100 bucks it's probably decent enough and this is coming from a guy that has some very, very expensive rods.